Find a vacation home to rent in Thessalia Sterea Ellada from our list of vacation rental properties. Campaya has over 10 vacation homes available in Thessalia Sterea Ellada, which give you the possibility to locate a unique accommodation in Thessalia Sterea Ellada which completes your check-list in search for the perfect self catering vacation apartments in Thessalia Sterea Ellada or vacation villas in Thessalia Sterea Ellada. This large holiday house is located in the village of Kenourio, just 3 km away from the lovely small town of Kamena Vourla and approximately 2 hours drive from Athens. 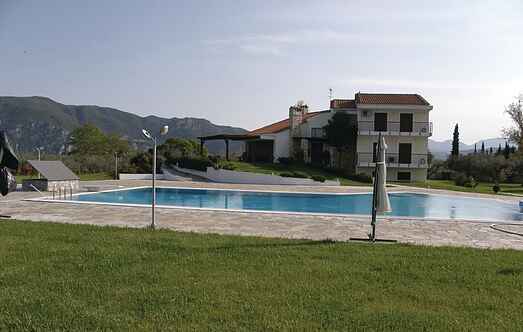 This beautiful villa is located in the mainland of Greece, near the town of Livanates. This is a beautiful two floor villa with two bedrooms and one big living room. The beach Abovos is close to the house and there are plenty of other small ones on the way to Lefokastro. If you want to explore the mountainous side of Greece then this holiday house is the ideal rental for your family.